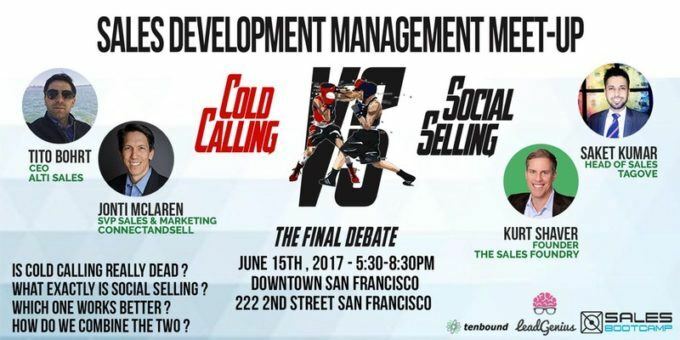 We are excited to sponsor the upcoming Cold Calling vs Social Selling Meetup hosted at LinkedIn on 6/15. Sign up here: http://bit.ly/2rs4jtO <— must sign up on Eventbrite to get on list please! Panel discussion topic: Cold Calling vs Social Selling. Is the phone really dead? When did you last take a cold call? What exactly is social selling? Does it really work? Which one works better? How do we combine the two? Let’s hash this out. 5:30 – 6:30 pm – Arrival, registration and networking – food and refreshments available!